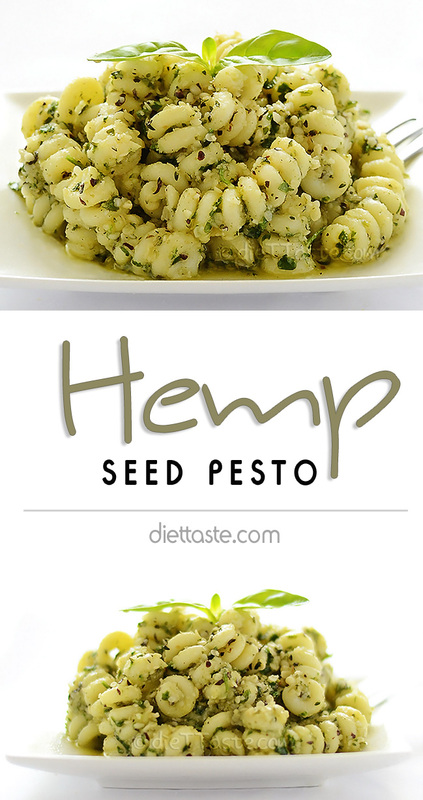 Hemp Seed Pesto – try new no nuts recipe for pesto for variety and additional health benefits. 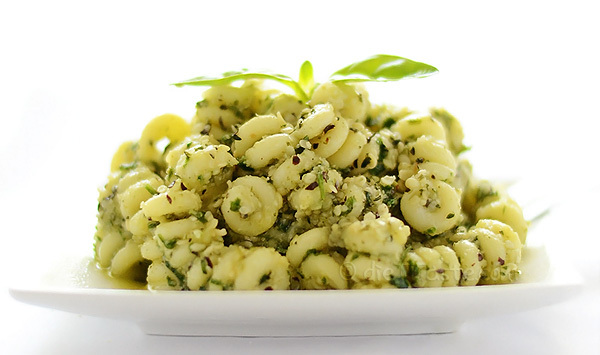 Regular pesto is always a good thing to have on hand. 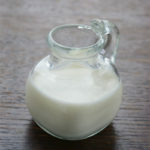 It can be used in so many ways: pasta dishes, potatoes, pizza, sandwiches or as addition to thick soups. 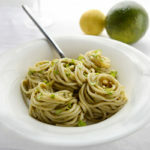 And you can get very creative when making your own pesto because it is so simple to make and uses inexpensive ingredients. You can use baby spinach leaves, arugula leaves parsley or mint leaves instead of basil. Vegans can exchange Parmesan cheese with nutritional yeast. 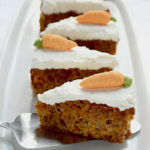 And pine nuts can be substituted with almonds, walnuts or cashews. 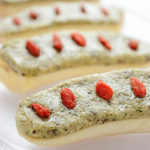 I attempted to create my own no nuts variety using hemp seeds instead of nuts. 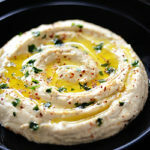 (If you follow my blog, you probably already know that I created a recipe for Hemp Seed Hummus as well.) Hemp seeds are very healthy and more and more available in many food stores. This time I made Hemp Seed Pesto with pestle and mortar on purpose because I wanted chunkier texture. For smoother pesto, put all ingredients in food processor and mix. 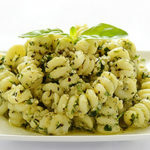 Hemp Seed Pesto - try new no nuts recipe for pesto for variety and additional health benefits. 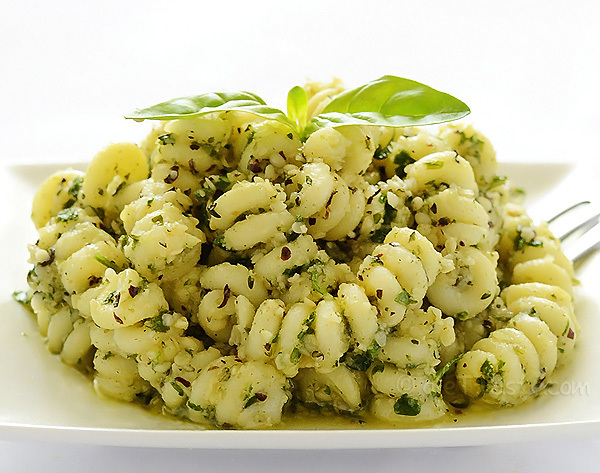 Put hemp seeds, basil leaves and garlic cloves in a food processor. Mix until ingredients are roughly chopped. While the food processor is still running, slowly add olive oil in a thin stream and process until fully incorporated and smooth. Season with salt and pepper. Add lemon juice and Parmesan cheese and mix until well combined. Add a bit more cheese or oil until you're happy with consistency. Thank you, Kelli, for featuring my post. I will continue submitting on your lovely Yum Goggle site. Unfortunately, I still don’t have Instagram account, but I’m following all your other social media accounts. Keep up the good work!